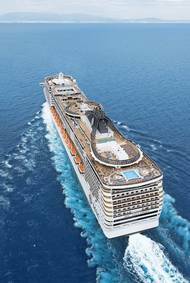 Cruise liner MSC Cruises has reached an agreement for an EUR 1.5 billion (USD 1.74 billion) financing for two new Seaside EVO class cruise ships.BNP Paribas, Unicredit and Cassa Depositi e Prestiti will provide EUR 1.5bn in financing for two Seaside EVO class passengerships. The financing syndicate of lenders also include SACE SIMEST, the Italian ECA, fully backing the credit line and stabilising the interest rate.The first ship is expected to be delivered in May 2021 and the second in February 2023. The annual Shetland Race from Bergen will be at Lerwick from Thursday 23 to Saturday 25 June. 2016 marks the 30th annual race which started in 1987 – that first year with only one competitor actually making the trip but it still ranked as a qualifying race. From 1988 the race has attracted a good number of entries annually. Currently, 34 yachts are entered bringing up to 200 sailors to Lerwick. The entries are predominantly Norwegian but there are two British flagged yachts participating including local yacht Roundabout skippered by Tommy Allan. The crew of the Coast Guard Cutter Marcus Hanna towed the 55-foot fishing boat Miss Emily, with four people aboard, after it became disabled Thursday about five miles off Kennebunkport, Maine. The Marcus Hanna, a 175-foot buoy tender homeported in South Portland was nearby working on aids to navigation when the Miss Emily's rudder post was damaged and started taking on water. Miss Emily’s pumps kept up with the flooding and at approximately 2 p.m. the Marcus Hanna took Miss Emily in tow with a course for Portland. Six boats and 10 housing sheds were destroyed by a fierce fire early Sunday morning at the Port Orchard Yacht Club. South Kitsap Fire officials say the fire broke out around 3 a.m. at the yacht club on Bay Street. "We were asleep and our friends called us up and said do you realize there is a fire on b dock," said Barbara Letson, who has a house boat. Crews from the U.S. Coast Guard, Washington Department of Ecology and South Kitsap Fire & Rescue are mopping up any pollution resulting from an early morning fire at Port Orchard Yacht Club. Luckily no one was hurt in the fire, officials said. The International Marina Institute (IMI), the training subsidiary of the Association of Marina Industries (AMI), awarded certifications to three marina professionals as Certified Marina Managers (CMM) and three marina professionals as a Certified Marina Operator (CMO) at the AMI-produced 2016 International Marina & Boatyard Conference (IMBC) in Fort Lauderdale, Fla. on January 28. The CMM and CMO designations recognize and distinguish the most highly qualified marina managers and operators throughout the world. 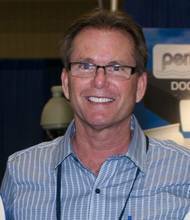 The Association of Marina Industries (AMI) elected its 2016 Officers and Directors at its annual International Marina & Boatyard Conference (IMBC) held January 27-29, 2016 in Fort Lauderdale, Fla. Brad Gross, Certified Marina Manager (CMM) of Dana Point Harbor was appointed Chair; Joe Riley, CMM of Windmill Marina Association, Inc. was appointed Vice Chair; Chris Petty of Suntex Waterfront Management was appointed Treasurer; and Mick Webber of HydroHoist Marine Group was reappointed Secretary. This year, five new members were elected to the 2016 Board of Directors for a three-year term. Coast Guard crewmembers assisted local agencies in the rescue of 19 mariners after their vessel capsized near College Point, New York, Sunday. At 1:40 p.m., Coast Guard Sector New York watchstanders were notified via Channel 16 of a vessel taking on water and capsizing near College Point with 19 people aboard. The dragon boat, a human-powered vessel from the Azumi Rowing Club, was made out of wood and had completely submerged by the time rescue crews arrived on scene. Rescue crews included personnel from Coast Guard Station King's Point, FDNY and NYPD. Set for September 17-20th, 2015 on Newport Harbor is the Newport International Boat Show (NIBS), which flaunts its destination and sailing history to attendees making their fall travel plans. NIBS is the kick-off to the boat show season and a prime time to experience fall in New England. It’s also one of the largest in-water boat shows in the country – hosting exhibitors from around the world with an exceptional assortment of sailboats, powerboats, marine equipment, services and accessories for boaters. The North American Marine Environment Protection Association (NAMEPA) heads to the Chicago Yacht Club to share its marine environment education materials with the local community. The Chicago Yacht Club hosts the 107th Annual Race to Mackinac on July 11, 2015. NAMEPA joins the festivities with a visit to the Mini-Mac Family Event at the Chicago Yacht Club, Belmont Station on Wednesday, July 8, 2015 to share materials with the attendees, adults and children, about marine debris and the marine environment. Navatek, the naval research and design company based in Hawaii and Rhode Island, and NEB, a leading builder of high-tech composite and aluminum boats based in Portsmouth, R.I., announce the launching of the Sea Blade 35, a 35-foot rigid hull inflatable boat (RIB) with a top speed of 60 knots. The Sea Blade line of powerboats features a patented hull form designed by Navatek founder and Chairman Steven Loui, a native of Hawaii. The stabilized monohull design has a slender center hull with two stabilizing amas, which form entrapment tunnels between the main hull and amas. The 32,000-ton Nord Explorer Cargo ship ran aground in the Delaware River around 4 a.m. Tuesday morning near the Riverton Yacht Club. No injuries or river pollution were reported by a spokeswoman from the U.S. Coast Guard. This is the second such accident in Delaware waters in the past fortnight. The ship had already unloaded its shipment of salt and was empty when it ran ground during low tide. The US Coast Guard managed to free the Nord Explorer (2009 built, 58,803 dwt) around 8am yesterday after it had run aground a few hours earlier near the Tacony Palmyra Bridge in New Jersey. A group of 40 enthusiasts from the maritime and insurance community in Singapore have come together, to undertake a 24 hour endurance sea challenge, all in aid of the global maritime welfare charity, The Mission to Seafarers. Mission Row Around Singapore Island (RASI), will see two teams in ocean-going rowing boats attempt the 140km journey, taking on the seas and shipping lanes (not to mention two live military firing ranges) to complete a non-stop circumnavigation of the island of Singapore. (A) 22 deg. 17.034'N / 114 deg. (B) 22 deg. 17.033'N / 114 deg. (C) 22 deg. 16.995'N / 114 deg. (D) 22 deg. 16.997'N / 114 deg. The works will be carried out by a flotilla of vessels including one derrick barge, two tugs and two work boats. The number of vessels engaged in the works will change from time to time to suit operational requirements. A working area of approximately 15 metres around the barge will be established. Diving operations will be carried out from time to time during the hours of work. The hours of works will be from 0700 to 2300 hours. Chicago’s Christmas Ship Committee, Coast Guard set for 15th anniversary of re-enactment, delivery of 1,200 Christmas trees for deserving families. The Coast Guard Cutter Mackinaw, serving once again as this year’s “Christmas Ship” and loaded with more than 1,200 Christmas trees, is returning to Chicago for a two-day event re-enacting what was an annual Chicago tradition in the late 1800s and early 1900s. A welcoming for the Mackinaw, by the Chicago Christmas Ship Committee, is scheduled for Friday at 8 a.m.
Marina Projects Ltd. announced the addition of a new Project Manager, Padhraic O’Connor, to the Hampshire based team. 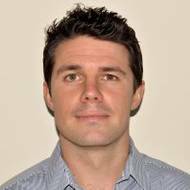 O’Connor is a qualified Port & Coastal Engineer with previous experience in port planning, design and physical modelling. The continued growth of Marina Projects’ Project Management team results from an increase in enquiry levels service demands offered by the company. 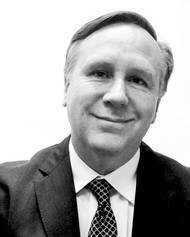 Mike Ward, Marina Projects’ Director commented, “We are delighted to welcome O’Connor to the team. 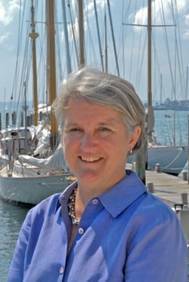 The Landing School, a post-secondary institution focused on educating tomorrow’s marine industry professionals, is pleased to announce the appointment of Susan Daly to their Board of Directors. 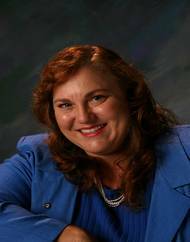 Ms. Daly is an accomplished sailor and longtime supporter of the marine industry. As a Trustee on the Board of Directors, Daly will contribute to the mission, curriculum and overall strategy of The Landing School. Daly’s sailing experience began at the age of ten when she started racing at a regional level. Since the age of 18 she has raced extensively at the national and international level. When members of the Northport Yacht Club on Long Island recently took delivery of two new launches, they had substantial performance expectations. Soon the captains and some passengers sensed something was not right. At certain engine RPMs, excessive vibration overwhelmed the vessel occupants. When the engine operated at between 1,600-2,100 RPM, the propeller shaft whirled, whipped and actually created alarming gyrations in the engine. The executive committee of the Northport Yacht Club met to determine a solution. After deliberations, they voted to purchase an Aquadrive anti-vibration system. CWind hosted a delegation of 20 businesses from the south east region of Northern Ireland on Tuesday this week. The delegation, led by Energy Connections NI and hosted by the East of England Energy Group (EEEGR) was in the area this week to see first-hand how businesses here have taken advantage of the supply chain opportunities on offer and exchange thoughts on the renewable energy sector with East of England experts. CWind shared insights into its own experience of growing a business in the offshore wind supply chain with the delegation over coffee and tea at the Brightlingsea Yacht Club. Lorianna Kastrop has been elected as Chair of the Redwood City Port Commission, the first woman to hold the position in the Port's 76-year history. In June 2008, Kastrop was the second woman in history appointed to the Port Commission. The first was Marguerite Leipzig, in the early 1980s, after having served on the Redwood City Council, including two years as mayor. Kastrop was reappointed to the Port Commission in 2012. Kastrop is vice president and controller of The Kastrop Group, Inc. architectural firm, of which her husband, Michael, is principal architect. GAC saves the day for Hong Kong sailor with high speed delivery of a giant mast replacement for his sailing yacht. When the mast on prominent Hong Kong businessman and sailing enthusiast Sam Chan’s yacht Ffreefire broke recently, he turned to GAC Pindar to speed a replacement from Europe. Within just two weeks, the integrated specialist services provider for the marine leisure sector had made all the arrangements and trucked the 24-metre long replacement mast weighing 700kg from Valencia, Spain to Luxembourg, where it was flown to Hong Kong.